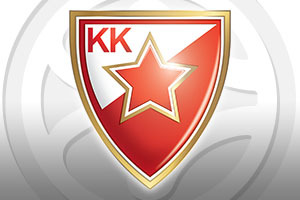 Spread Pick: Crvena Zvezda with handicap -5.5 at 1.68 Over/Under: Over 154.5 1.90 Bet Now! Sometimes the first win is the more difficult to obtain and once you get off the mark, things start to fall into place a little bit easier. This is at least what Crvena Zvezda are hoping for now that they are off and running in the Top 16. They have a good chance at home to Zalgiris Kaunas and both teams have a big incentive to dig in and get the win. When it comes to Euroleague basketball betting, a battle to get away from the bottom is just as intriguing as a battle for the top and this is exactly what this match is. The team that loses this game is going to end up at the bottom of Group E, which is something that both teams will be desperate to avoid. This creates a lot of tension for the players, coaches and fans but for the rest of us, it makes for a rather exciting game of Euroleague basketball. With a 7-8 record in the Euroleague so far, containing a 6-4 record in the regular season and a 1-4 in the Euroleague, Crvena Zvezda will be looking to grab another win. They have scored an average of 76.7 points per game in the Euroleague so far, and a key reason for this has been the form of Boban Marjanovic. The player has grabbed an average of 15.6 points per game while also offering up an average of 9.9 rebounds per game. There is also the form of Marcus Williams to take on board with the American guard offering an average of 11.4 points per game and an average of 6.5 assists per game. While the Euroleague has been difficult at times for Crvena, they have cruised the Adriatic League so far, sitting in 1st place with 20 wins out of 20 games. In their most recent outing, they hammered Szolnok by a score of 90-47. Zalgiris Kaunas have a 6-9 record in the Euroleague but after a 5-5 record in the regular season, this means that they hold a 1-4 record in the Top 16. The team has scored an average of 70.3 points per game in the Euroleague with the American forward James Anderson being at the forefront of this. He has offered up an average of 15.1 points per game and an average of 5.4 rebounds per game. Anderson has been supported by Paulius Jankunas, who has provided an average of 9.1 points per game and an average of 7 rebounds per game. Kaunas are also going well domestically, sitting in first place with a 23-1 record. In their most recent domestic game, they dealt with Dzukija by a score of 83-73. Taking Crvena Zvezda with a handicap of -5.5 at odds of 1.68 is likely to be a sound bet for this game. If you are keen to get involved with the Over/Under market for this game, you will find that going Over 147.5 is likely to be a safe bet. You will find both of these bets available from Bet365, so if you are looking for the best odds on Euroleague basketball betting, this is the place to go. Bet Now!